September 1963, Stockholm, Sweden – Leonid Zhabotinsky of Zaporozhye, Ukraine competed in the super heavyweight class at the 1963 World Championship in Stockholm. 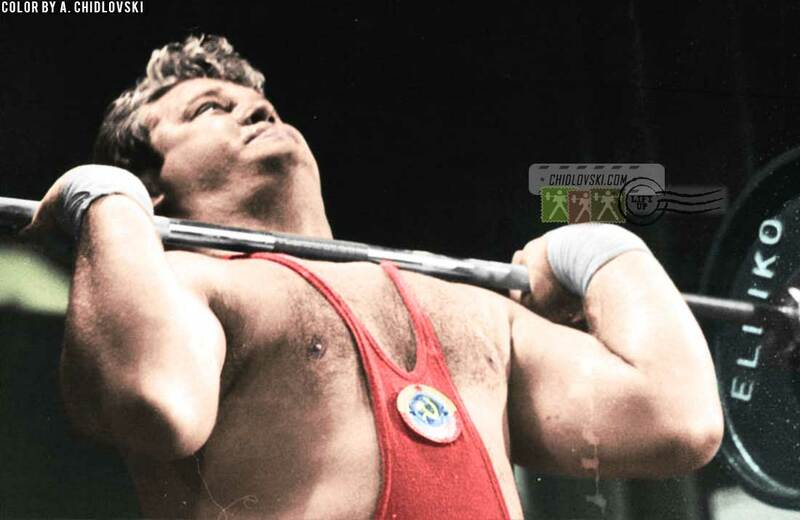 One of the greatest super heavyweights in the history of Olympic weightlifting, Leonid Zhabotinsky (1938-2016) would have turned 80 on January 28, 2018. “Zhabo”, besides being a member of the “long line” of successful Soviet/Russian Super-Heavyweights, but a multi-talented individual as well. The Zaporozhye, Ukraine native would later successfully defend his Ph.D in Pedagogy (Education) at the Kharkiv Institute in 1970. His other accomplishments included that of a weightlifting coach and military consultant in Madagascar, and as a Pro-rector at the Moscow Institute of Business & Law. The former member of the Communist Party of the Soviet Union (CPSU) also retired from the Soviet Army as a Colonel in 1991. Another interesting factoid is his and his family’s survival of the Soviet-German War, where they survived the four Battles of Kharkov.